Honor, tradition, and pride are synonymous with the Penn State University experience, whether you’re currently enrolled, alumni, staff, or a visitor to one of its 24 campuses. 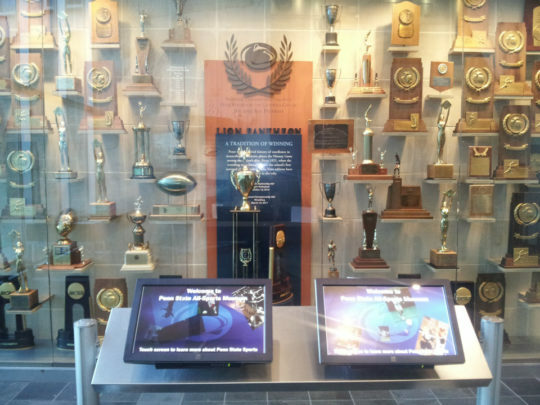 University Park, its main campus, is the location of the Penn State All-Sports Museum which upholds the Penn State Ideals of honor tradition, and pride by paying tribute to 34 current and former varsity sports. Interactive kiosks display searchable information about exhibits within each kiosk’s vicinity. 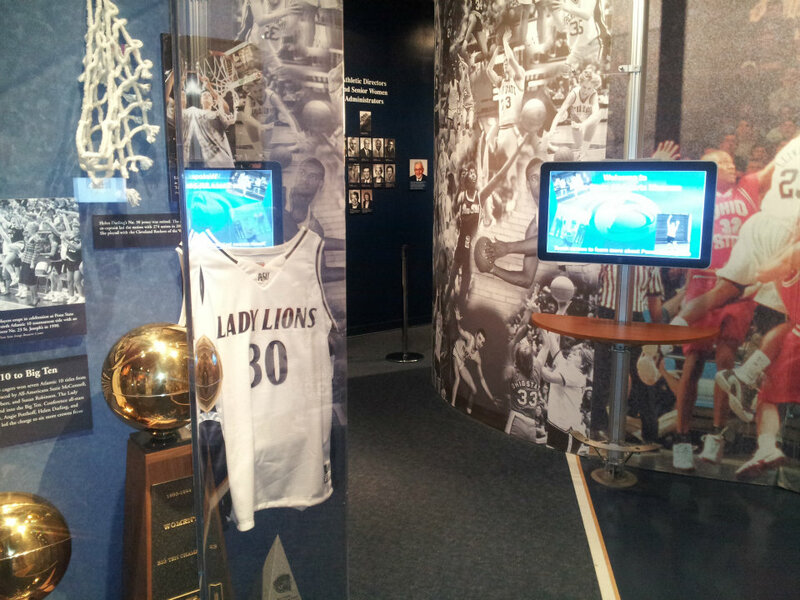 For its 10th anniversary, the Penn State All-Sports Museum wanted to upgrade its visitor experience by introducing new touchscreen kiosks that display interactive and searchable content. 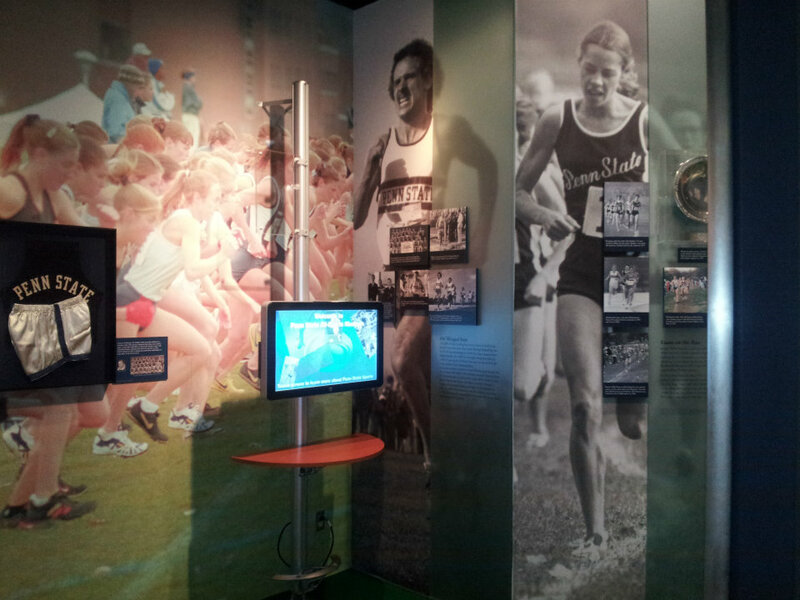 Until recently, Penn State All-Sports Museum was struggling to manage the massive amount of sports data their old kiosks displayed, making updates challenging and time-consuming. Museum staff needed a way to remotely manage the data from one place through a user-friendly interface. When the museum decided to upgrade the kiosks, it sought out Pennsylvania-based Marketechs Design Studio. Marketechs’ vital role was to design and assemble the kiosks, determine where each kiosk would be placed, remove the old kiosks, and install the new ones. Marketechs partnered with Livewire Digital for the application programming. 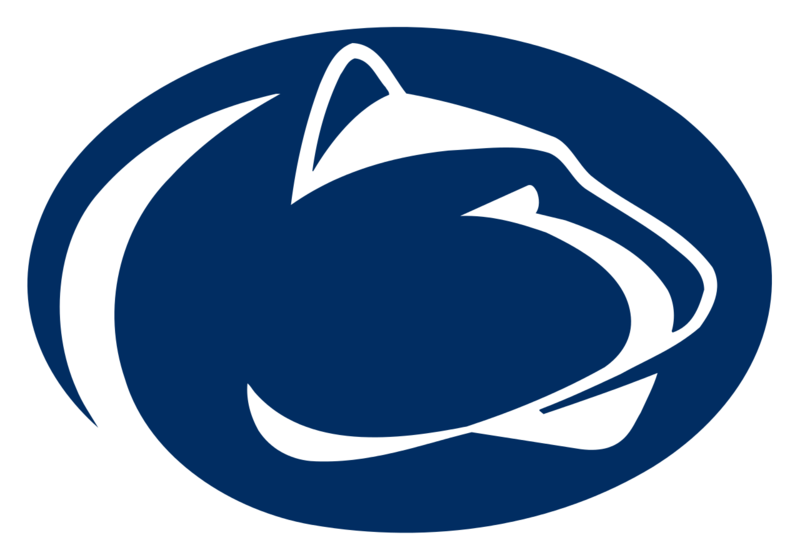 Both companies are run by Penn State alumni who were thrilled to be involved with this project. 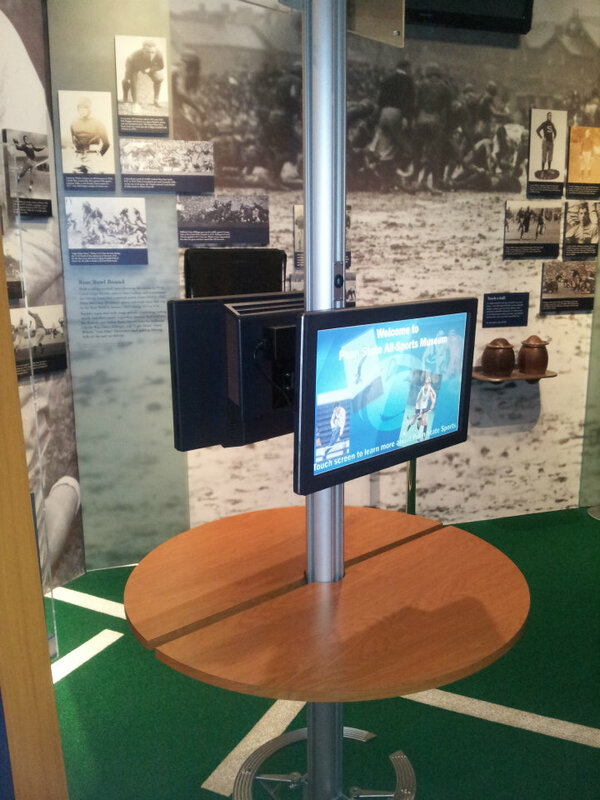 Penn State All-Sports Museum’s seven new touchscreen kiosks use Livewire’s eConcierge CMS (Content Management System) with a Sports Management add-on which accommodates future data input by museum personnel. The functionality provided by this enterprise-level solution includes the following: configurable attract screens, kiosk health monitoring, usage statistics, the ability to remotely push content to the kiosks from a user-friendly web-based interface, and application lockdown to secure the museum’s sports data and network. 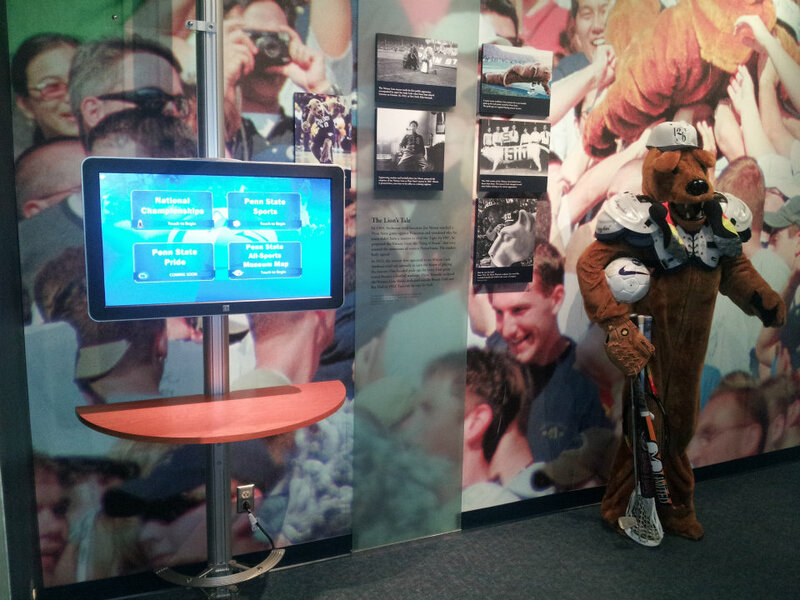 “Installed on time, each touch-screen kiosk allows museum visitors to call up information on all Penn State sports such as year-by-year schedules, team records and information about university athletes that took part in the Olympics.” Hickman said. 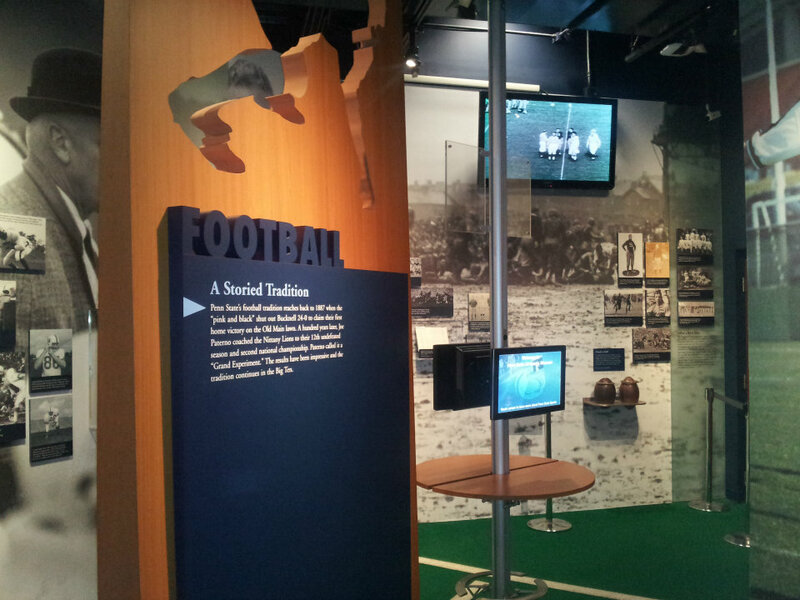 The new kiosks have helped the Penn State All-Sports Museum differentiate itself from other museums; visitors are invested in their own personal museum experience through their interaction with exhibits from all of Penn State University’s sports, both past and present.